djkardkreations: Celebrate From the Sublime to the Ridiculous! Celebrate From the Sublime to the Ridiculous! I had to take some time and create something to share in the celebration at Less Is More, where we are fortunate to have the 200th challenge to play in! You know it's one of my favorite (and first) challenges and I wanted to play to thank Chrissie, Mandi, Jen, Sarah, and Anne for all their hard work week-after-week bringing us fun challenges, making visits, and commenting on our entries! Naturally, Chrissie has chosen "Celebration" as this week's theme and, naturally, I'm always up for a celebration! I have this fun striped Washi tape in red and white and in green and white, so I laid one strip of each side-by-side and then I cut out the word celebrate. I made a card background using the Sissix snow e/f and attached a stitched NBUS hill by Paper Smooches. Then I attached the letters of celebrate and had them march across the snowy hill like a choo-choo train. Of course, the North Star lights the way. You're thinking, whoa, what? Okay, so it's really kinova funny story. A week ago Tuesday, I was jogging along my normal route which takes me past the Granada Shopping Center. Now I've jogged past Lou's Lounge and Billiards, next to the Lucky Grocery, about I don't know how many times, but it's always been closed because they don't open until 2 p.m. Imagine my surprise then when the door opened as I ran past, almost cold-cocking me right in the kisser! I stumbled backwards into the row of grocery carts. Ouch, right?! Well, Pete, who turned out to be the owner (Lou is his wife), felt horrible and insisted that I come inside and take a load off. "Hey," I said, "I resemble that remark!" Pete laughed at my badinage and poured me a tall one. I felt it was only polite to accept. As it happens, Pete was opening early because it was the day of the Lounge Christmas party and that's how I came to have my picture taken with a Santa hat on! Fortunately, I keep my lipstick (which doubles as emergency rouge) in my sock coz a girl never knows when she might run smack into a party! Here's to Less Is More and the next 200 challenges! Thank you so much, ladies! And, Sarah, thank you especially for the beautiful written tribute to Chrissie! 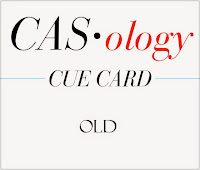 CASology, where the cue card is "Old." I'm pretty sure you weren't thinking ME and you're right. I know they don't look it, but my Christmas socks and sneakers are at least 15 years old. The Paper Players, where Jaydee has a Bingo theme for us. I chose bottom left to upper right: star, embossing, white. Words 2 Scrap By, where the challenge is "Eat, Drink, and Be Merry." The links will take you to the challenges where you will find information on the rules, sponsors, and prizes. I think that second girl resembles me...there is a gravity problem when we get older!! And...really, we need a picture of you at the lounge party! Do you have a copy?! Two fabulous cards Darnell and a big thank you for always making me smile! You look gorgeous in your jogging gear!! Fabulous cards once again and another wonderful post! Thanks for cheering me up Darnell! Your first card is stunning and the second card is so much fun! I love, love, love your Celebrate card -- the white on white textures and the washi tape alphas (genius!). As to the other card, you have a gift for a funny story! Thanks for both inspiration and a smile today. Fabulous! Each card is fabulous in its own way. And your storytelling skills are as wonderful as ever. Thanks for the eye candy (questionable on the second card) and the laughs! The celebrate card is genius and I love the washi tape technique - you did good. I like to start my day with a chuckle and your story and picture taken at the bar is hilarious. Funny girl. This card is fun and sassy just like you Darnell! So glad you joined us at CASology this week! Fantastic, love the cards and the stories. Great start to my day. LOVE your CAS design for the LIM's 200th challenge celebration. Using the striped washi tape for your letters is fabulous and creative!! Love that Celebrate card! So elegant! Your second card is hilarious. You're a hoot! Super love your CASology card. Who is that old bat anyway? Not you!! Very funny story. Thanks so much for playing along at CASology this week. You are such a hoot! and you have THE cutest knees! giggles seems like all that jogging is paying off! Gorgeous CAS card for "Less is More". Thanks for another very flattering picture of you! Good to hear that you are always prepared for everything (lipstick)! 2 very different cards, and both great designs. Love the words cut out of the washi tape. My I didn't know someone had drawn a picture of me jogging, and then having a rest. lol. Seriously this looks just how tired I feel after my walks trying to get fit again. lol. Fab cards. What a great way to start my day with such a fun story you out jogging with your lippy. I like a gal who knows how to celebrate! And you can do it in spades! Great cards! Dear Darnell, I'm amazed about your cards! What a wonderful idea putting letters as a choo-choo train :-) Simply perfect! I have to smile about your funny lady in the pub and a story. :-) Super colouring of the motiv. I have so many gorgeous washi tapes that I don't know quite how to use, so I appreciate every tip I can get! I think the way you used them for the sentiment is both clever and decorative! And that woman hanging in the bar? Hilarious!!! Okay...so I'm at work right now and am at risk of blowing my brains out of my ears cuz I am trying really, REALLY hard to supress a huge, snorting laugh! The lipstick/rouge part nearly sent me scurrying to the bathroom in an awkward knees pressed tight kind of gait! Love how you change gears pal! From sweet & simply snowy (love the gold star) to sultry, saucy, and spirited (as in booze). Thanks for my daily snort-out-loud laugh! I just love how you can go from elegant and gorgeous to so fun and cheery and pull them both off so wonderfully! You are an amazingly talented lady! Love your work! You always run in to the greatest situations! I love your first design with all its sweeping lines, and the second just cracked me up! OHHHH you always having me talking and laughing to myself. Love them BOTH! The CAS first card is gorgeous! I really love the second one with the story to go with it. Although you need an elegant slim lady on the card. Two GREAT cards today...GENIUS use of the WASHI tape for cutting out the celebrate..... LOVE the originality of this beautiful elegant CAS card. The second card brought a snort of laughter from me as I scrolled down to it...love the way you colored the too funny image. Your blog is always a delight to receive. Oh my goodness, you are always inspiring and creative; but you also can make a girl wear her diet Pepsi and laughter! Thanks so much for the beautiful cards and fun blog post! Well to quote an expression that I actually hate is that I am 'Gob smacked' what a total and utterly difference in images and how fabulous they both are, the first one is so classy and I love it, the second one is just so funny and I love it and I can't stop giggling, imagining your daily jog, I just love that image, can't see what you say it is, but I have a new computer and to be honest, I am struggling with it. I love the washi tape letters..such a fun card for the celebration! Thanks for joining us this week The Paper Players! Fun story again, and a flippin hilarious card to boot! I love the washi tape trick - gonna have to remember that one! Oh Darnell! It is always so fun to come to your blog! Your story is HILARIOUS!! I'm still laughing as I type! Too funny! Your first card is gorgeous! Love the embossed snowflakes and the neat washi tape technique! The second card... simply hilarious!! ((Hugs)) my friend! haha Two great cards and fun post, Darnell! Hugs! That story (and subsequent card) about your job is hilarious!!! The way you colored the image and added the Santa hat makes the card. Great job!!! I love the first card! Now back to ROFLOLing ! Your CAS card is brilliant, Darnell & of course the other one cracked me up as did your story! Your CAS card is wonderful but i am still roaring with laughter over the other...Brilliant work! Darnell I have not had a good week. But this morning I am sitting laughing and laughing at your misfortune and Stella the dog thinks I have finally lost it! Darnell your posts are so amazingly funny ... just had to pick myself up off the floor laughing! Will have to remember that lipstick trick!!! Onto your cards one of which is equally hilarious and completely fun and apt for the challenge. The Christmas one - loving the simplicity and a superb technique described with the washi tape. Love both cards equally. Thanks so much for your kind words about LIM and for joining our special 200th challenge this week and for your continued support. This delightfully simple card looks splendid and is only enhanced by your description. It's obvious that you enjoy writing and sharing your stories as you craft...you're charming and talented... a little wacky and totally fun! Love your washi tape die cut Celebrate! Your jogging gear makes for an elegant photo. I am not surprised that Pete took the pic. I will have to remember the rouge trick, although the jogging in Austin on most days, well, the lipstick would probably be quite the sloppy mess! Thanks for sharing your story. It sure put a smile on my face friend 😄. Hugs to you! The card of you is darn cute though. And the celebrate card is fantastic. I have some NBUS letter dies and will be CAS(E)ing this idea. Both cards are outstanding! How did you know I like beer!!! LOL! Lipstick in your sock??? Darnell, I love how you used washi tape for your letters, so clever and festive! And your second card, hysterical! Thanks for joining us this week at The Paper Players! Hugs! Love these cards Darnell... the first is so elegant and the second so funny... your story grabbed me too and made me titter! Thanks so much for your kind words about our challenge and for your continued support! You are a star! It's all about you, baby! I love that second card. I needed some ridiculousness in my life today and this fit the bill perfectly. Okay the other card is great too but it's far too serious for Friday. That second card is fall down hilarious. The rouge alone sent my swivel chair into a spin.I LOVE IT!Probably, because, somewhere in my life I've looked like that at a bar. Your first card is just plain elegant...& really clever. BTW, thanks for getting me on the right track (so to speak). The Washi die cut is so striking, and I love the design of your card. Your second card is downright hilarious. Hahahaha, great cards, loved the story with the second one! Gorgeous elegant card, and fun as always on your blog! So clever with the washi tape. That looks great. The lipstick party girl is wonderful. Maybe if you jogged later in the day you could have this fun every day! LOVE your LIM card and of course the second one is a cracker too!! Really liking the way you did CAS#1 with that snowy stitched hill and it's tricolored lettering. That is one clever use of Washi, my girl. Then I get to your Santa story, see that card, and I am ROFL - that is just a big hoot. I'm glad you had that lipstick handy, and that the door didn't damage those pretty new peepers either!!! Happy Saturday. Big Hugs & TFS. Okay i will let the 25 Days Tag pass but this one Darnell is definitely borderline--TART--ROFLMAO! Love both of your cards and I am definitely laughing mine off right now. Thank you so much for joining at at CASology this week! Quite the 'hottie' in your jogging gear there, Darnell! That second card had me in hysterics! You are hilarious and your cards are outstanding! As always! Thanks for the awesome story that went with it. So glad I visited The Playhouse today!! Catching up after christmas-decorating the house a litle bit... Super CAS card to celebrate at LIM! Darnell...you just crack me up! This is so funny and I love how you colored her too, so so cute. These stamps are so you and I don't mean that in a bad way at all...they just seem to fit your funny personality...just so much fun. And your celebrate card is just too cute too, I love that you used patterned paper to cut your letters out with. Love it! Well. What is left to say? I just read every comment left so far and they are all RIGHT ON! The first card is quite sweet. The second? Oh, my. Just TOO FUNNY! Still chuckling here, appreciating your story and your writing ability and your sense of humor AND your card-making abilities! Consider yourself admired. :) Thanks, as always, for joining us at CASology this week! What a great post - and your cards are pretty fab too!!! 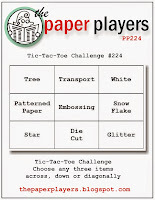 Thanks for playing along at the Simon Says Stamp Wednesday Challenge.